Avenged Sevenfold News: Avenged Sevenfold in "20 albums we can’t believe turn 10 this year"
Avenged Sevenfold in "20 albums we can’t believe turn 10 this year"
Alternative Press shared a list called "20 albums we can’t believe turn 10 this year", including Avenged Sevenfold's self-titled album. You can read an excerpt below. 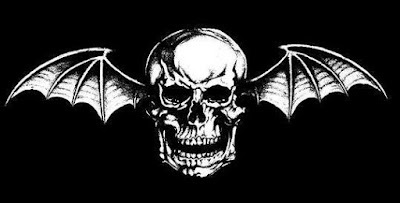 If you asked the boys in A7X how they wrote a follow-up to the masterpiece that was City Of Evil, they’d tell you it was “Almost Easy.” What they wouldn’t have thought was that it would be the last complete record that drummer Jimmy “The Rev” Sullivan would both write and perform on. Nonetheless, Avenged Sevenfold’s self-titled album came at a pivotal point in the group’s career, with many of the songs becoming hits within their catalogue. 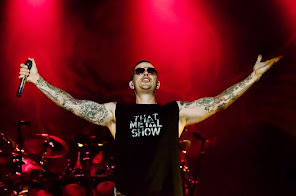 Tunes such as “A Little Piece Of Heaven” and “Dear God” challenged A7X’s typical style, while songs like “Critical Acclaim” and “Scream” only exerted their influence on heavy metal of the ’00s, with that second pair still finding their way into stadiums around the country.